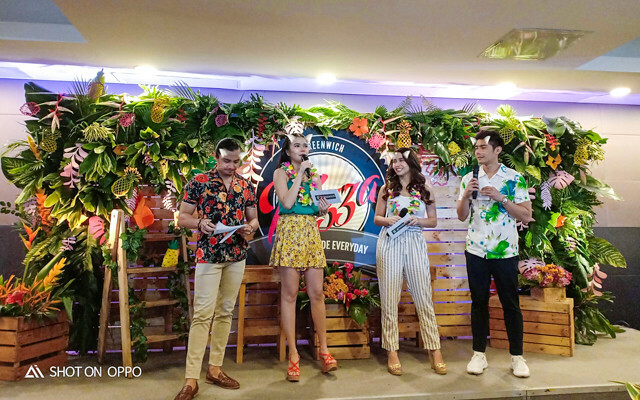 Summer island vibes rocked around the whole room where Bella Padilla and Yasmin Pressman were treated to a birthday bash by Greenwich Pizza. And this party is completed with Greenwich Hawaiian Overload, the perfect #SummerPizza! Loved the Hawaiian summer vibes they had going on, and the only thing missing are the sound of waves and that sea salt smell when you're at the beach! This birthday bash is completed with their fellow G Barkada, Robi Domingo (*SWOON!) 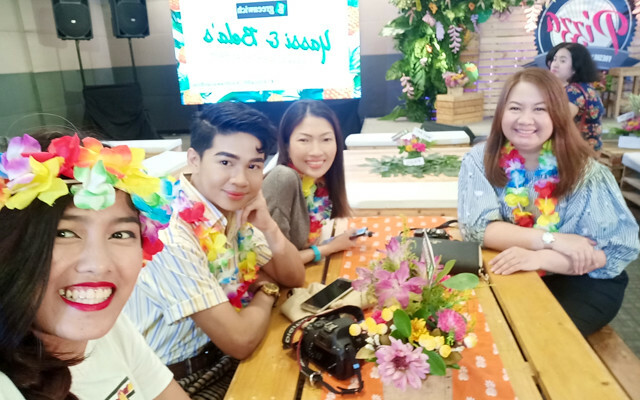 and JC Santos who hosted the event, and of course Yassi and Bella’s very supportive fans were there celebrating with them as they turn and step on another milestone. The best part of this honestly is the hula dancing game, headed by Yassi. Afterwards, we were serenaded by Bella on her Ukelele with the song Fix You by Coldplay. 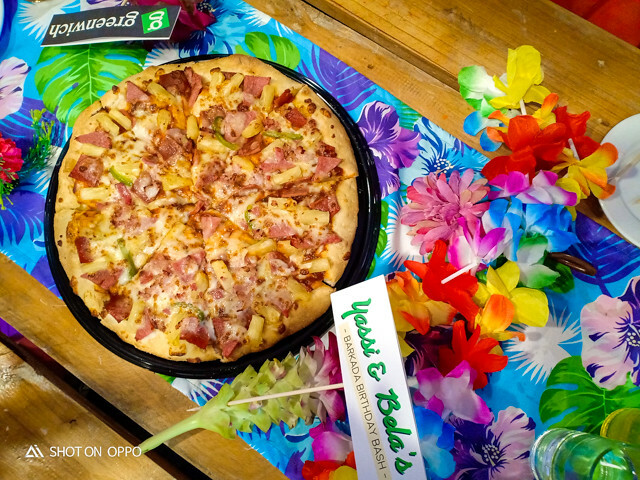 And of course, we had our slice of happiness with their Hawaiian Overload! 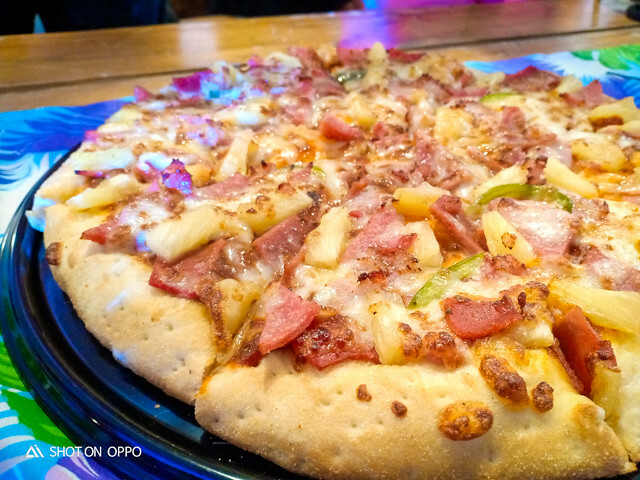 The thing is loaded with sweet pineapples, premium cheeses, and topped with lots of bacon and ham giving that mouthwatering flavor that is best shared with the barkada. Unfortunately, if I'm sharing with my kiddos, ubos nila yung kalahating box HAHAHAHA! 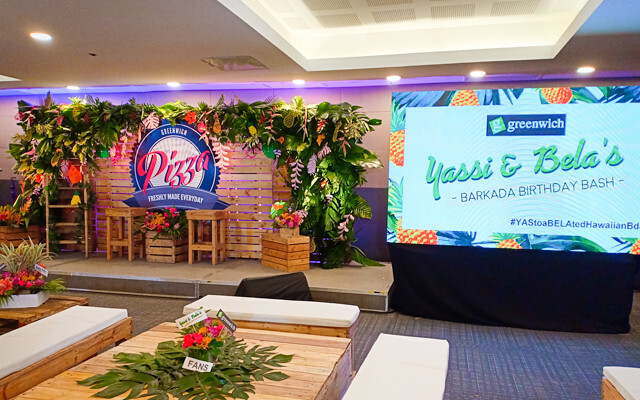 And of course you can actually enjoy this yummy pizza all-year round, not just this summer season- a box of pinya sarap na Hawaiian Overload pizza na swak sa budget ng barkada! Visit your favorite Greenwich pizzeria or call “#” then 5-55-55 for nationwide delivery. Delivery is also made easier Just text G to 0919-88-55555 (Smart) or 0905-88-55555 (Globe) and expect a call for your orders.